 Based on our field research in the Pampanga Delta, the Philippines, we have designed the Finch Floating Home. Using a barrel-floating foundation and prefabricated design, the home is designed based on the common housing wishes of a Philippine family. We focus on combining the qualities of healthy and sustainable design with the use of local materials and (local) prefabrication. Through established local connections, we will be able to test the first prototypes on abandoned fishponds and rice paddies in the city of Macabebe this year. The Floating Homes will make living possible in areas otherwise unsuited for safe and healthy habitation. 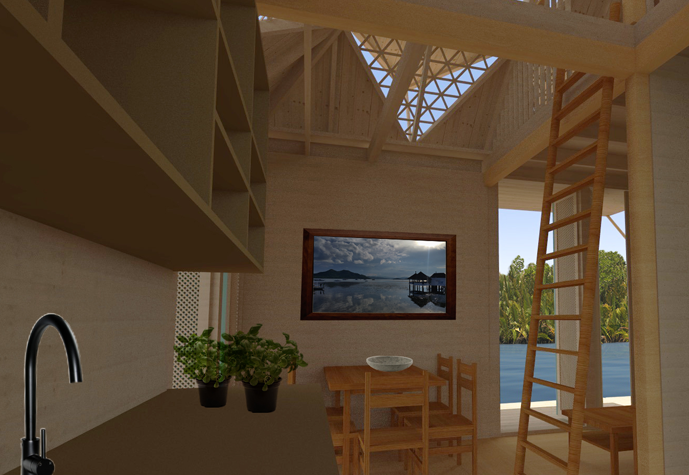 The homes are designed as both a single unit and a cluster of 4 connected floating houses. The homes can be realised with one or two floors. The design of the house was developed in collaboration with the local population, resulting in a home for an average Philippine family of 5 people. We build with wood, because wood is the most sustainable construction material and can be grown locally. 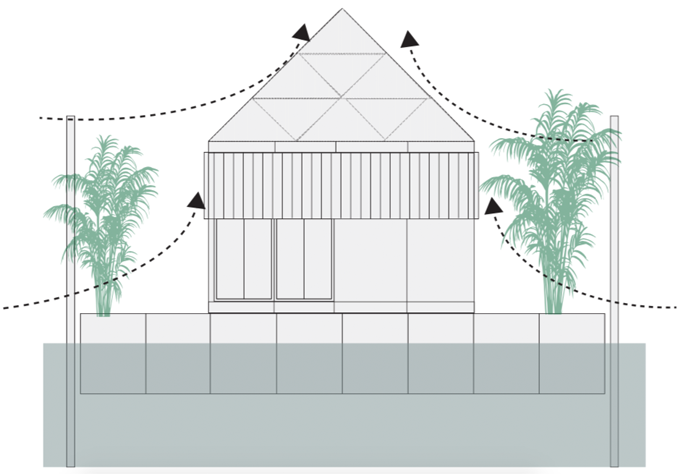 Thanks to a clever design of the façade panels, the house is provided with natural ventilation and the house offers protection against typhoons. 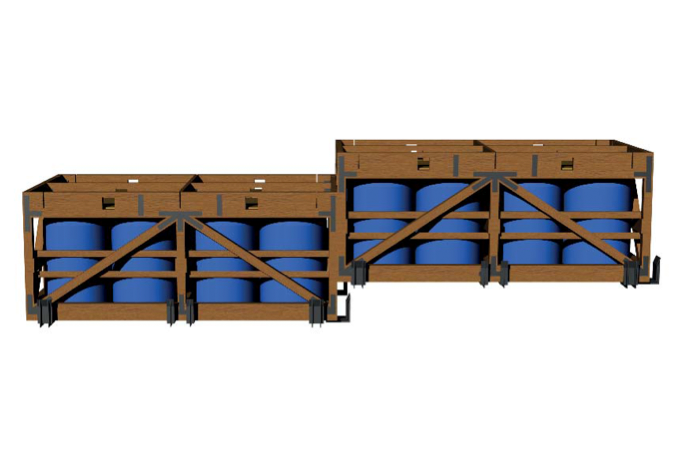 The modular floating foundation consists of a timber frame filled with recycled plastic barrels. 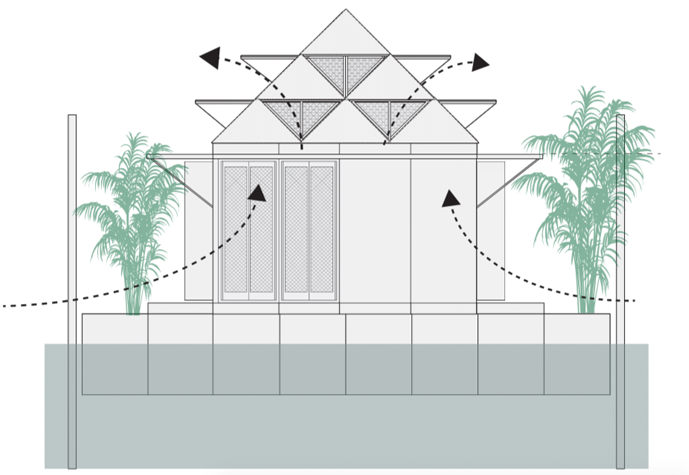 The foundation can easily be expanded, so that a larger floating platform with more homes can be created. The foundation is held in place by pillars that are fixed in the ground. 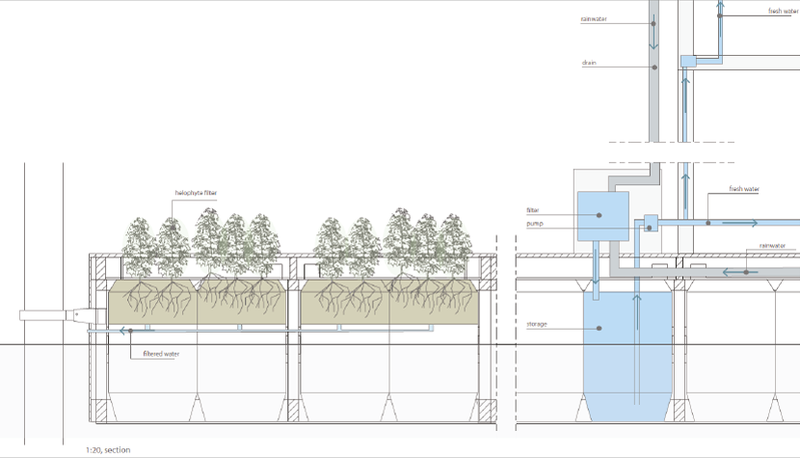 This allows the foundation to adapt to the water level. It is also possible to let the houses rest on the ground when the water level is low.